Blue belts are getting paid. 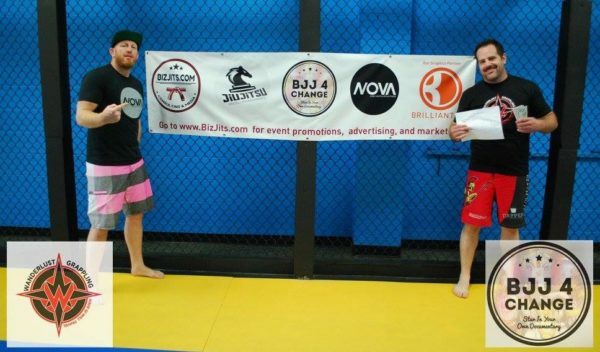 A progressive grappling event was hosted in Wisconsin at Nova Gyms Martial Arts & Fitness on July 29. This exciting submission-only tournament was meant to provide Wanderlust Grappling and BJJ4Change a live venue for blue belt competitors to showcase and document their jiu-jitsu progress while competing for cash. Greyson Christian, the founder of Wanderlust Grappling is the visionary behind the tournament. *$250 cash prize because only two people in the bracket. 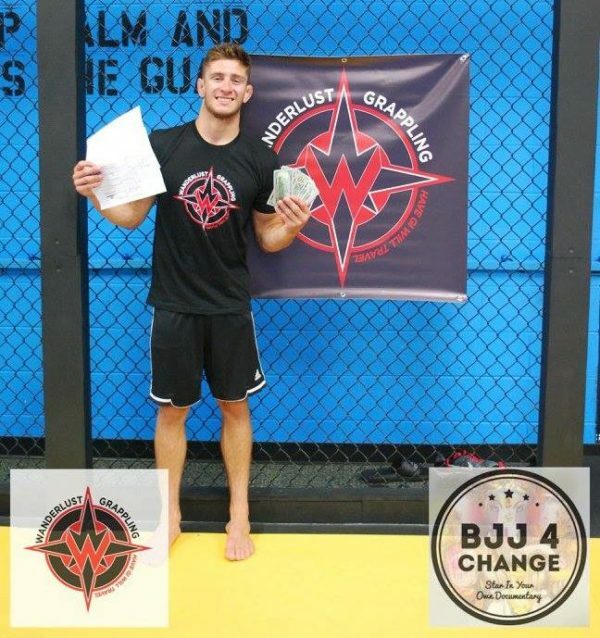 Wojcik also won the under-170 pounds Blue Belt Gi tourney, which netted him another $500. “The tournament was a lot of fun actually, and being able to review the videos of my matches now, and in the future is exciting,” Wojcik said. 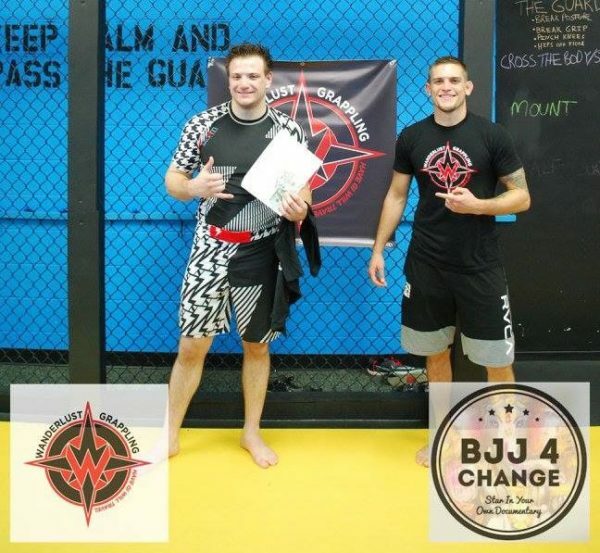 “Greyson (Wanderlust Grappling) and Chris (BJJ4Change) did a really nice job with the event and I will definitely attend more of their tournaments,” said the champ. Micro BJJ tournaments are providing a solution for those who are frustrated with IBJJF-style competitions that provide competitors with no minimum guarantee of matches, even with a hefty $125 entry fee. “You could end up paying a steep registration fee to get one, or possibly zero other competitors in your divisions,” said Robert Smith, a professional MMA fighter who attended the event on Saturday. “These micro tournaments are the solution with their guaranteed match bracketing system where even if you only get one fight you are still fighting for big money,” said Smith. Stay tuned for more Micro BJJ events from both of these organizations, and click here to learn more about Progressive Jiu Jitsu Tournaments!